Finally she has arrived and the talk of the online bingo community. She is the one and only Melina Bingo, carrying a package of bingo treats that are a bingo player’s delicacy. She will divert your attention to a refreshing and pleasurable time that is all your own. From out of nowhere comes a captivating woman with hair black like the night and eyes that are hypnotic. She is a modern day Gypsy Rose Lee with a red rose tucked in her tresses. She travels the world over as Melina Bingo and without hesitation enters your home and offers a suite of games. The web design is spellbinding and has a way of leaving you wanting more. Read Melina Bingo’s story on the homepage and you’ll understand how easy it is to be lured as if under her spell. It is a modern twist of an era that never lost it’s momentum for bingo. As part of the 123 Bingo Group, it comes from good stock with a reputation for an exceptional bingo network. This family of bingo brands is the pinnacle of success and is the fame among the internet bingo competition. Players will enjoy all the thrills that Parlay software has to offer. 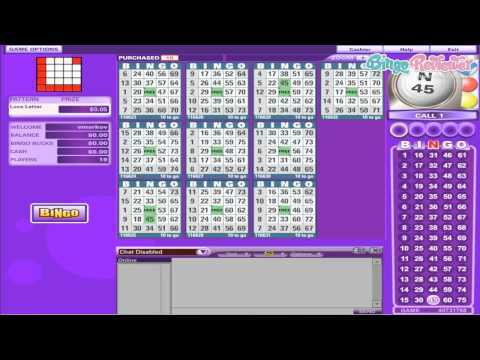 It’s a software that has dedicated its development for the finest bingo entertainment. The Flash version feature requires no downloading allowing players to jump right in the action. The bingo package of games is top notch and players won’t be disappointed with a whole array of products to choose from. Enjoy the best of both worlds with UK’s 90 ball bingo and America’s 75 ball bingo all in one location. The rooms are a whirlwind of fun with Chat Games, Mini Games and Progressive Jackpots. Bingo and Slots go together like love and marriage and Melina Bingo offer a blissful selection of machines. Choose between 3 Reel, 5 Reel and Progressive Jackpot Slots. Take a spin and see all the great features like Bonus Rounds, Scatters and Wilds and if you are lucky enough retriggers on the Free Spins. The Casino is broken down into three categories including Favorites, Table Games and Classic Games. Players will find all the exhilaration playing Video Poker, Blackjack and Roulette. Melina is never shy or stingy when it comes to bonuses and promotions. A free bonus is available after signing up and the nice advantage to it is players are not limited to bingo and are free play all games. The generous gift giving continues with your first deposit. Be sure to check out the Deposit Bonus and scoop up some extra credits to beef up a nice size bankroll. What is likeable about the Promotions is they are always kept current and a wide variety of choices are offered that appeals to every type of player. On the Promotions page there are four categories starting with Bingo Babble that is filled with Chat Games that your chat host will lead and reward winners with bingo bucks. Bingo Bling offers Guaranteed Jackpot games and other specials to earn cash and bingo bucks. The Casino Club is filled with tournaments for Blackjack and Slots. Deposit Bargains offer up tempting bonuses that will have you heading to the cashier in not time. Under the umbrella of the 123 Bingo Group, players are assured of a quality bingo operation. The graphics are impeccable with a crisp clean look. We rate Melina Bingo with 4.75 Pink Hearts. Melina bingo will give you a free $20 to try out their site and it's there for you as soon as you register your account. Some sites have a delay or make you verify your phone or email, but here at Melina bingo, no hassles at all. Players who have yet to deposit can play bingo with their free money in the Newbies room. This is a great place to get to know the game and try out the chat and other features so that when you do deposit you'll be prepared to win! Once you have made your first deposit you will see how the bonus system works and can start earning bbs in chat games. You can play 75 and 90 ball bingo, which is always fun. You can also play the casino, slots, keno and other games as well. Be sure to keep an eye on the promotions page for all the specials that are always going on at Melina Bingo. Enjoy playing the flash game versions with no downloads needed. Keep your eye on the PJPs - you never know when they are going to go and you could be one very lucky bingo player! Aside the whole fortune teller theme (that I am not very fund of), this site quickly proved to be among the best that I have seen so far. It looks really clean and it's easy to find your way around, so I didn't lose time searching for various terms and conditions, it's all in one place. A part of very successful Parlay entertainment sites, this one starts the deal with a nice $20 no deposit bonus, and all you have to do is to register a new account. The welcome bonus continues to your first deposit and later reloads, so you will be stimulated to make deposits. You can reach the support over the phone, live chat or email if everything else fails. The support team, in my case, was very helpful. They offer 75 and 90 ball games, the classics as most players know and play them, and it's a shame they didn't include 80 ball and 30 ball as well.